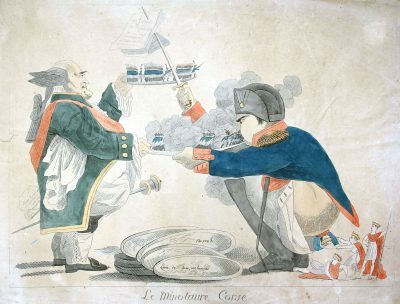 Napoleon and Pitt debating what’s the best instrument to help Europe. 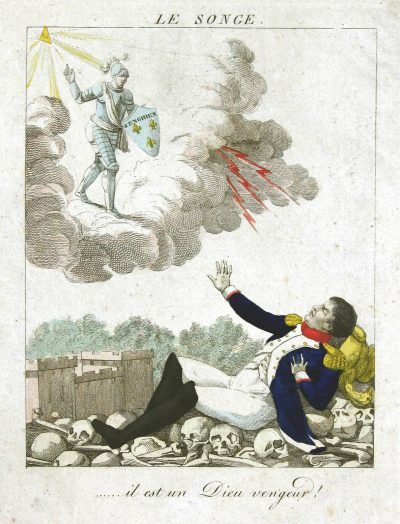 Whilst Pitt option is a sack of money, Napoleon swears by cannonballs. 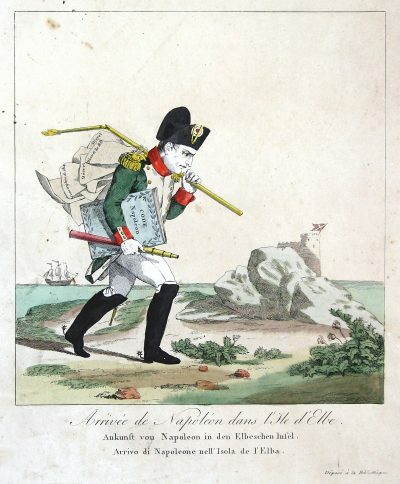 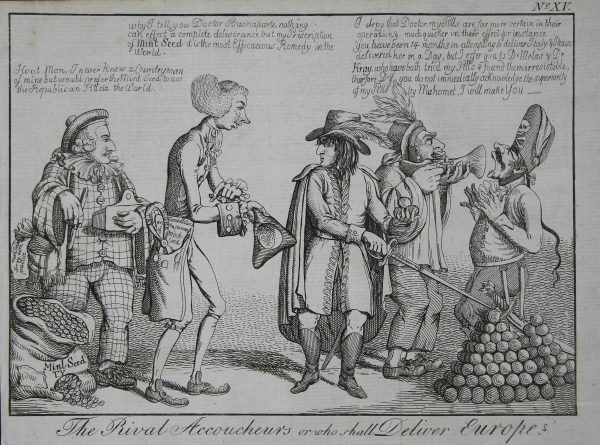 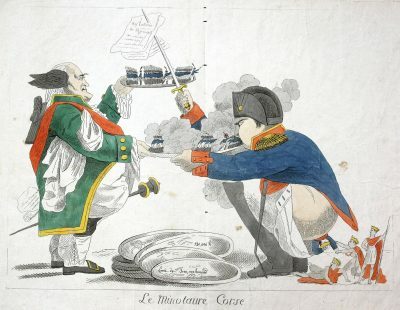 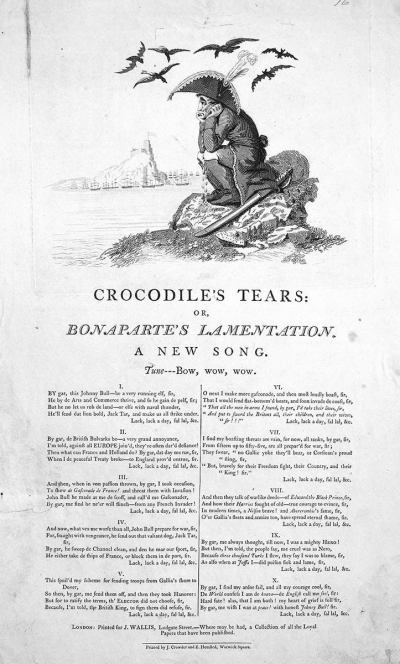 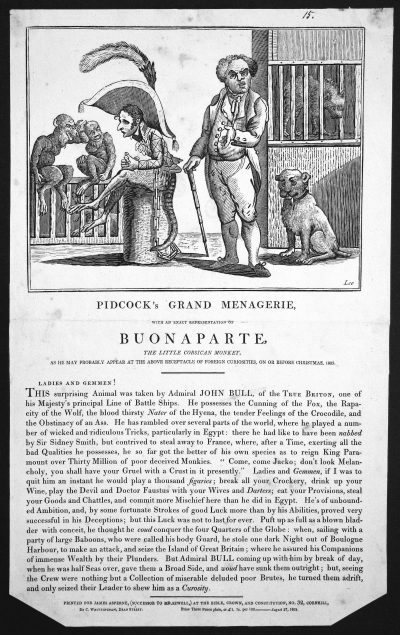 The caricature criticizes Pitt’s policy of subsidizing continental powers as well as Bonaparte’s policy of aggression. 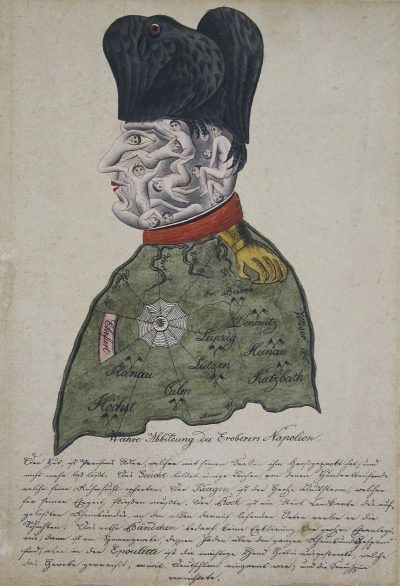 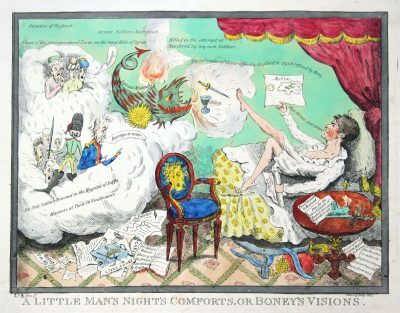 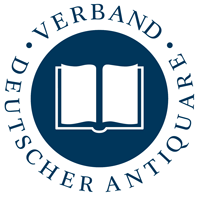 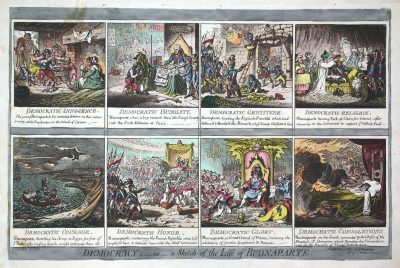 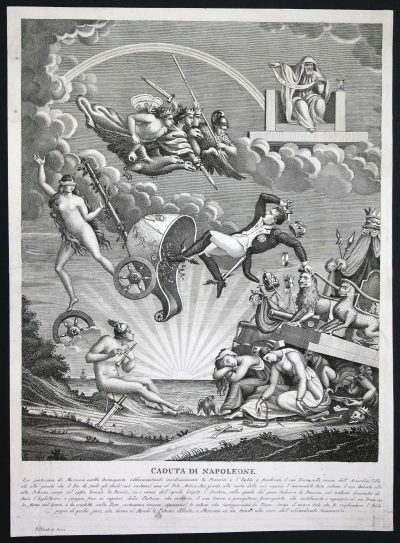 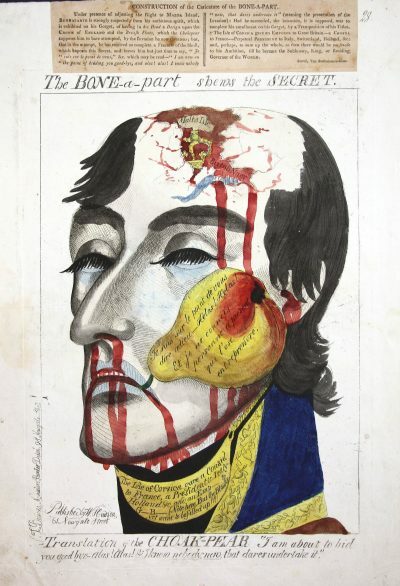 This is a reduced German version of a caricature published 1800 by S.W. 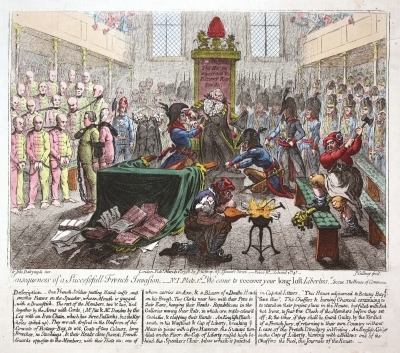 Fores in London.